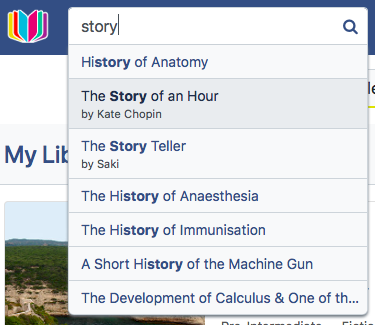 Use the search tool to find titles matching what you enter with titles, authors and reading levels as you type. If you click one of the titles in the list, the story or article will be displayed. If you press return or search then the results will display as a full list that you can browse through.